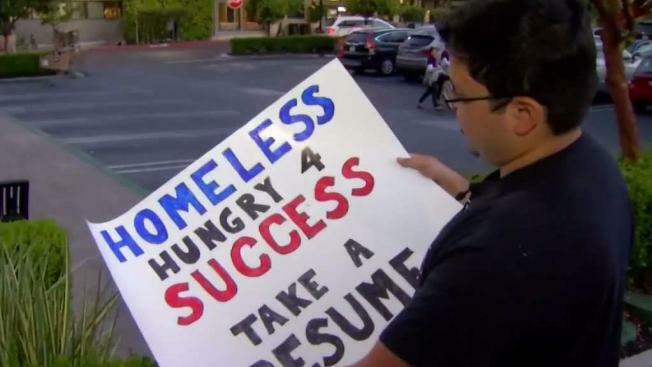 Dave Casarez on Monday said he is setting up job interviews in hopes of becoming a developer and is no longer handing out resumes on the street corner. 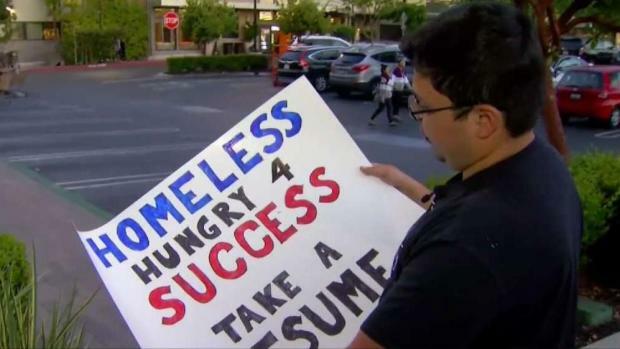 Casarez received hundreds of messages after a post on Twitter by a good Samaritan showed Casarez standing at an intersection in Mountain View holding his sign. The tweet posted Friday has garnered more than 135,000 retweets and 1,800 comments. "I'm just completely blown out, receiving so many e-mails of support," Casarez said. "People have shown support form all over the world," Casarez said. "Not just here in the Bay Area -- people from Japan, Saudi Arabia, Canada. It's been amazing." On Monday, Casarez used the WiFi at Starbucks to set up appointments with multiple Silicon Valley companies who said they are now interested in hiring him.